Our Terms of Business apply to the products and services offered on our site. Your attention will be drawn to these when you apply for a quote or to buy a policy. By using our site you agree to our terms of business in force from time to time. Any policy which you buy through our site will be subject to the policy terms and conditions of the relevant insurance company providing the policy. The key features of the policy will be provided to you prior to the time of purchase. The full terms and conditions and exclusions applying to the policy will be made available to you after purchase. www.greenlands.co.uk is a site operated by Greenlands Insurance Services Limited ("we or us"). We are registered in England and Wales under company number 3589692 and have our registered office and our main trading address at Unit 1, Cefn Llan The Science Park, Aberystwyth, SY23 3AH. We are directly authorised and regulated by the Financial Services Authority under registration number 300768. 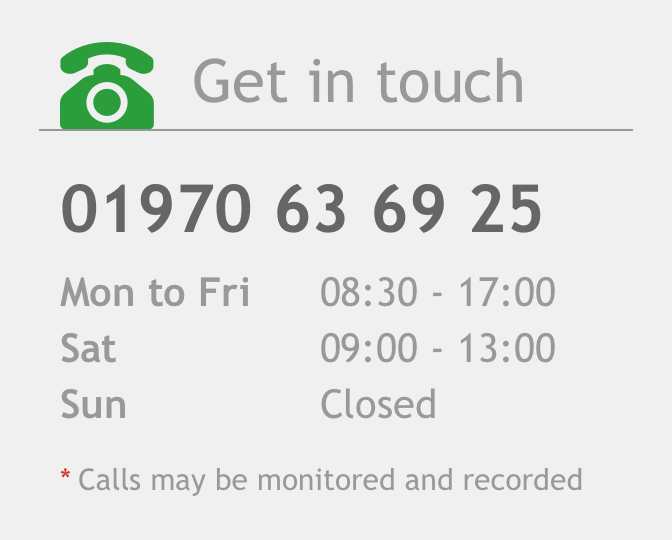 You may contact us regarding any matter appearing in our Terms of Business, or regarding any of our policies by phone on 01970 636925, by post at our registered office address above or by email on webmaster@greenlands.co.uk. Access to our site is permitted on a temporary basis, and we reserve the right to withdraw or amend the service we provide on our site without notice (see below). We cannot guarantee that you will have uninterrupted or error free access to our site at all times, or that any defects will be remedied or that the site or server are virus or bug free. We will not be liable if for any reason our site is unavailable at any time or for any period. When using our site, you must comply with the provisions of our Acceptable Use Policy (below). You may print off copies of your quote(s) and policy documents from our site for your personal retention and reference. The content of our site does not constitute an offer by us to sell products and services. Your request for a quote or to buy a product or service is an offer by you and will be subject to both our Terms of Business and the policy terms, conditions and exclusions of the particular insurer. Your offer may be accepted or rejected by us or the insurer. When you make an offer to buy a product or service, then if that product or service is available and your offer is accepted, you will receive confirmation of purchase. The information, descriptions and key terms provided on our site (or on the insurer’s site) do not necessarily contain complete description of all the terms, conditions and exclusions applicable to the policy, and details of the precise cover provided will be contained in the policy documents issued to you. You must ensure that details which you provide to us are true, accurate and correct as failure to do so may invalidate an insurance policy. Our site must not be framed on any other site, nor may you create a link to any part of our site without our prior written consent. If you wish to make any use of material on our site other than that set out above, please address your request to webmaster@greenlands.co.uk. If you have any concerns about material which appears on our site, please contact webmaster@greenlands.co.uk. This acceptable use policy sets out the terms between you and us under which you may access our website www.greenlands.co.uk. This acceptable use policy applies to all users of, and visitors to, our site. www.greenlands.co.uk is a site operated by Greenlands Insurance Services Limited (we or us). We are registered in England and Wales under company number 03589602 and we have our registered office at Unit 1, Cefn Llan The Science Park, Aberystwyth, SY23 3AH, which is also our main trading address. Be true, accurate and complete particularly where you are applying for a quote on a policy.